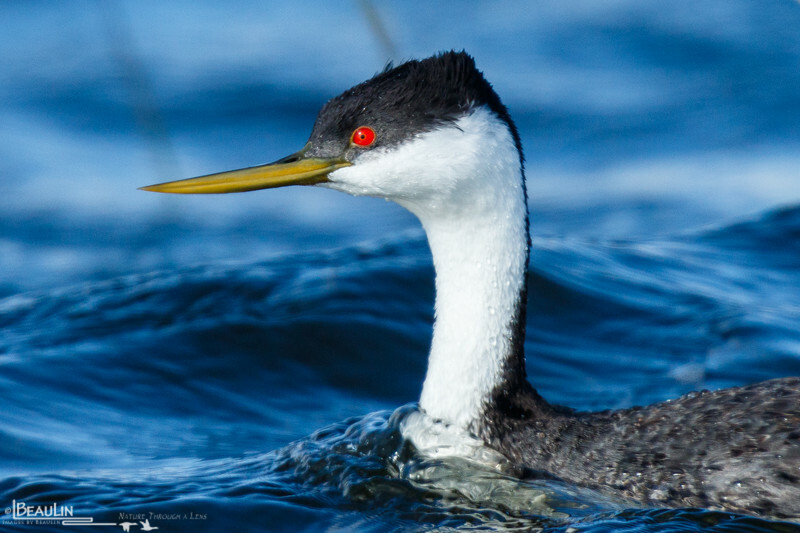 Female western grebe. Compared to the males, hens have a more pronounced upward curve on the lower mandible near the end of their bill. When viewed from a distance, this makes their entire bill look more curved and slender compared to the male.